Fluffy white clouds dot across a blue March sky on a Saturday afternoon at the Charleston Executive Airport, a small general aviation airport on John’s Island. 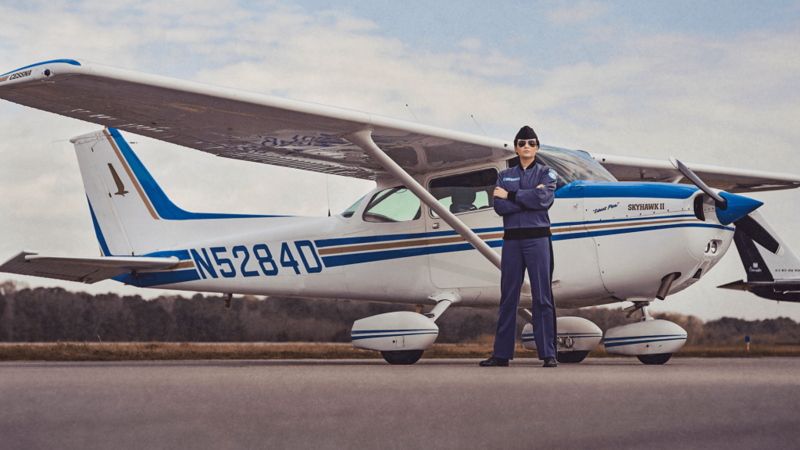 In the air, freshman Cadet Jenna Beare navigates a small Cessna 172 Skyhawk, a four-seat single-engine aircraft, as Colonel Christopher Will guides her along the way. When Will tells her to prepare to land, Beare’s face becomes serious as she concentrates on her descent. The plane goes down smoothly, bouncing briefly on the runway, before taxiing to the hangar. As she emerges from the plane, Beare smiles, basking in her success. Flying has been in the blood of the Romeo Company cadet since she was 6, when she joined her father in the cockpit of a Cessna 150. Her father, Lt. Commander Scott “Yogi” Beare, a U.S. Navy pilot of 24 years, was a Top Gun-trained pilot who flew F-18 Hornets in Desert Storm and in aerobatic demonstrations for the Blue Angels. His influence on his daughter is undeniable. Her goal is to become a fighter pilot in the Air Force, and she is well on her way. Beare is on-schedule to earn her pilot’s license this year. Being a pilot is no easy feat. To earn a private pilot’s license, a candidate must log 40 hours of flight instruction, in addition to ground training. Military pilot training is intense and lasts a full year just to earn silver wings. To become an airline pilot a minimum of 1500 flight hours and multiple FAA certificates are required. According to a Boeing Study, 790,000 airline pilots will be needed worldwide between now and 2037. More than 200,000 of those will be needed in the United States alone. 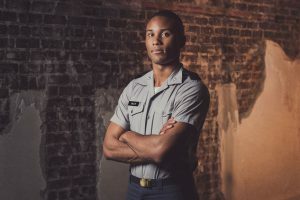 The Citadel is stepping up to tackle the pressing pilot shortage by offering ground school courses built into the academic curriculum and establishing accessible flight training. 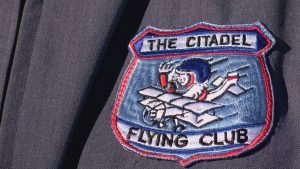 In addition, The Citadel Flying Club, which operated from 1939 until 1978, was resurrected in the spring of 2017. 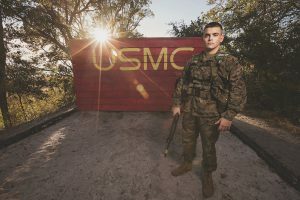 The club, which was organized to encourage cadets interested flying careers, now has more than 200 members and has raised funding to offset the cost of training. A non-profit flight school, the Lowcountry Aviation Association, was established at Johns Island airport so that area students can train and log hours at a lower, subsidized cost with FAA-certified flight instructors.